The following advice is not comprehensive but rather a very short summary of helpful things we can do that many people may not be aware of. Aside from exercise, adequate nutrition, and mental health there are three other important things for physical health: water quality, food quality and air quality. In places with poor water quality you should use water filters and then boil the water before drinking, and avoid ice cubes. Keep cups covered, avoid lemon peel in drinks, don’t put hot water into some plastic containers, or make sure they’re heat resistant. Avoid plastic bottles where possible (especially those with BPA). Good to generally eat vegetarian food, choose organic, and eat in clean places, preferably with clean air. Food should be covered if left standing for long, and preferably also if sweeping is done. If you’re going to eat fish then eat fish with lower mercury levels (often lower down on the food chain) and not too much. Don’t eat as you walk along busy roads, or as you drive your car. Try to avoid using disposable chopsticks. Don’t put plastic containers into the microwave unless microwave safe. Always rinse washing up liquid off cups and plates, and use separate cloths for cleaning dishes and surfaces. Reduce use of chemical based cleaners with natural alternatives such as vinegar, lemon juice and sodium bicarbonate. In cities go high up to breathe cleaner air, go hiking or walk in parks, don’t walk or run by busy roads too often, especially at rush hour. 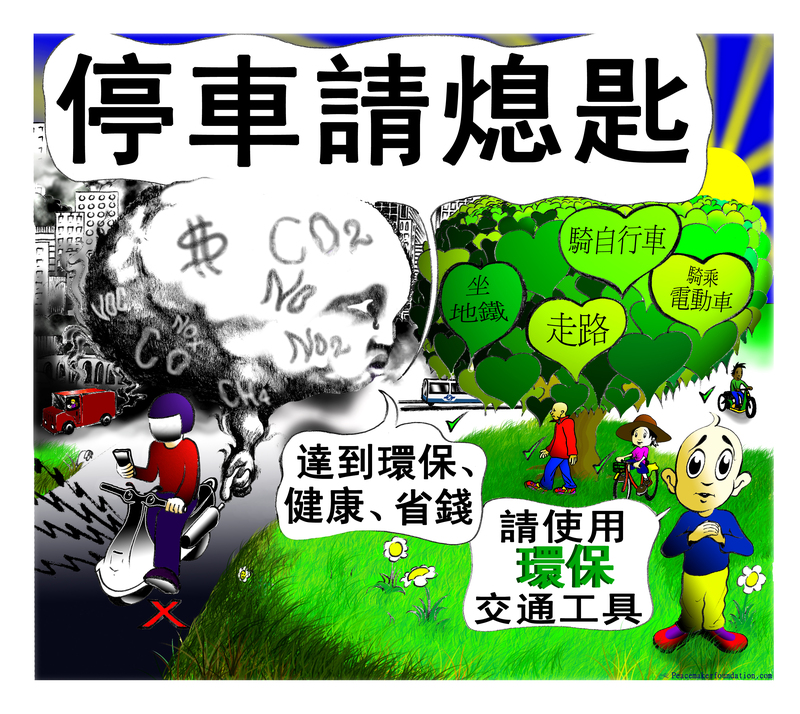 Buy an air purifier or trees and plants for your home. If you live by a busy road then keep windows and doors shut, especially at rush hour and if you live on the ground floor, but remember to maintain air circulation. 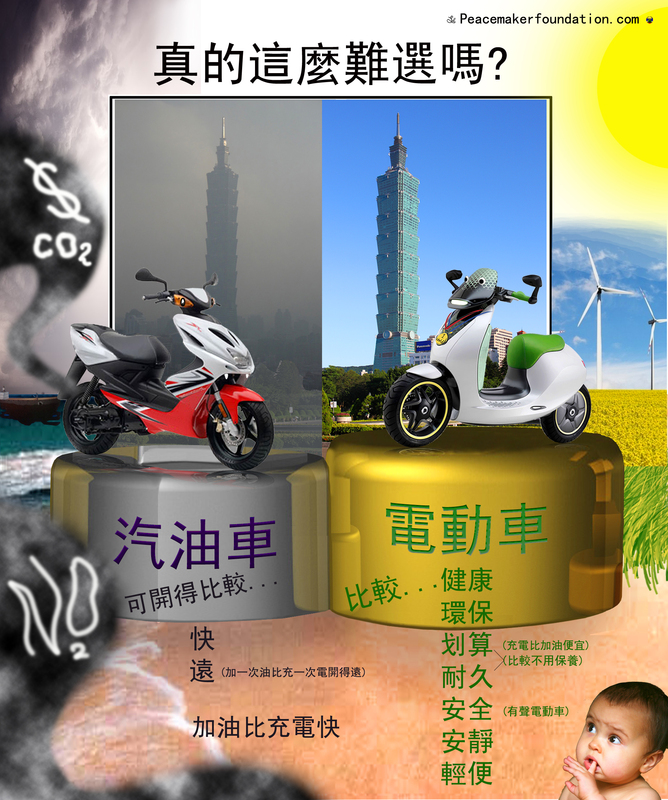 Avoid petrol vehicles, especially scooters or at least try to avoid idling your engine where possible. 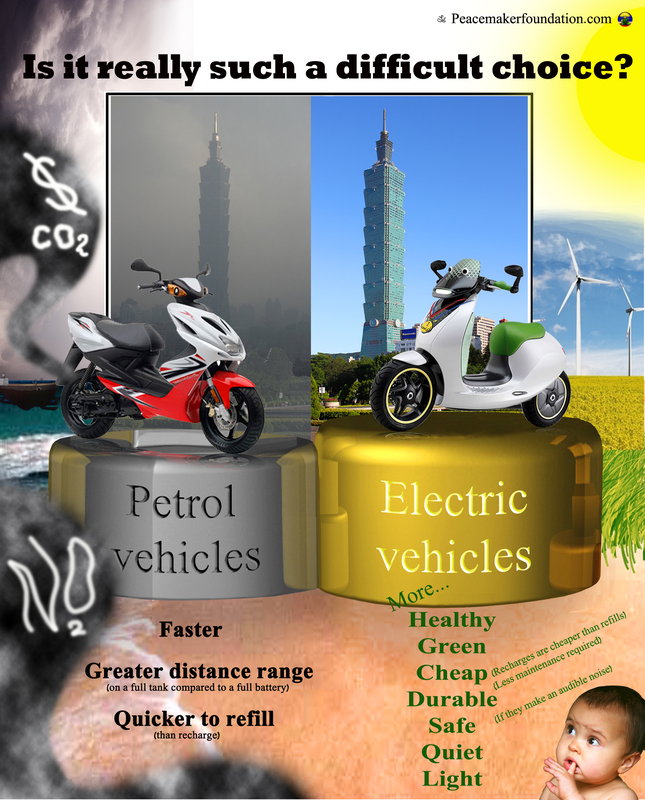 Use greener transport such as bikes or electric vehicles. 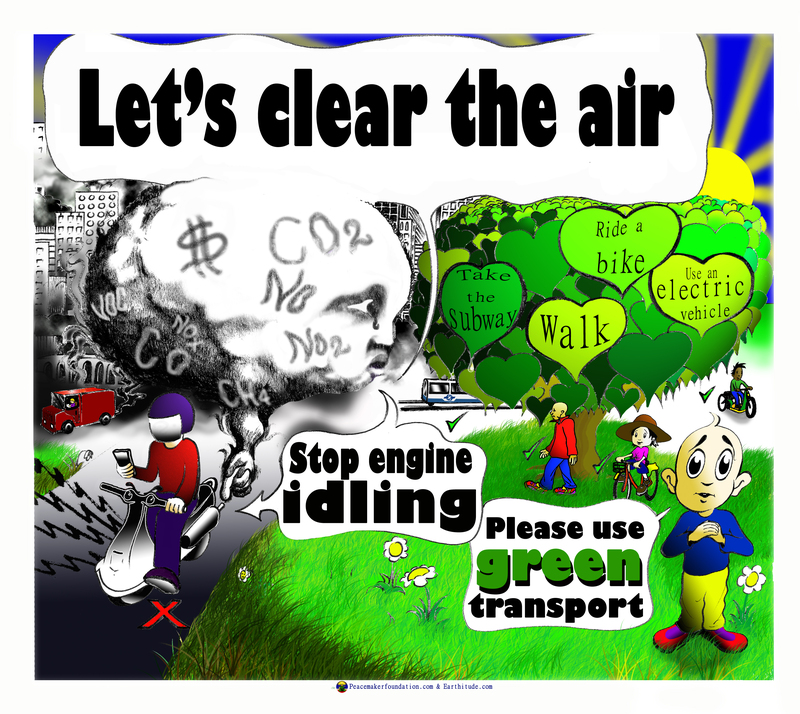 Make more pedestrian areas, bigger sidewalks, smaller roads, more protected bike lanes, plant more trees, reduce the number of polluting vehicles, increase green transport and implement stringent anti-idling laws. Increase development of green renewable energy. Turn off your phone or keep it a little away from you when you don’t need to use it. Don’t answer it upon the first ring, and if possible use a speaker setting or headphones. Put smartphones or tablets into airplane mode when possible, and buy a radiation reducing case such as a ‘Pong’ case. Use devices with lower radiation levels. It’s important not to become too fussy, contrived or dogmatic regarding guidelines such as those above. They serve to benefit physical health, but for the sake of mental health it’s worth being open, tolerant and flexible. Don’t sweat the small stuff. Get the big picture right. It’s not about 100% avoidance, it’s about creating good habits so that generally your’re going in the right direction. Just be clear about what you’re doing.